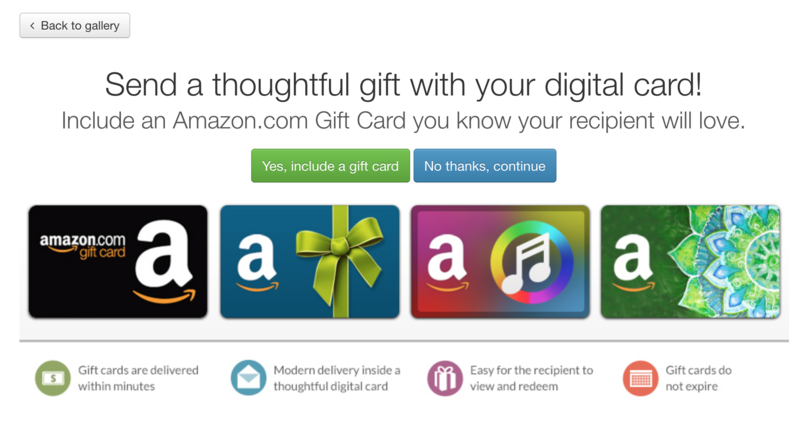 A Gift Card can be added to nearly any of the Digital Cards we offer. 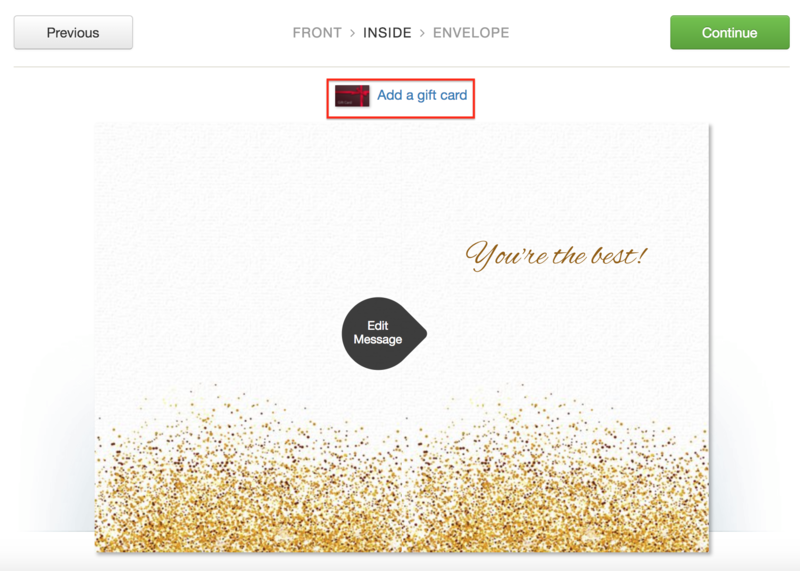 After you have found the perfect card, click the Personalize design button to the right of the design. On the following page, we'll ask if you would like to include a Gift Card, simply choose Yes, include a gift card. If you have already created your Digital Card and would like to add one, you can certainly do that as well. Just edit your existing card and find the Add a gift card button on the Inside tab of the Digital Card. 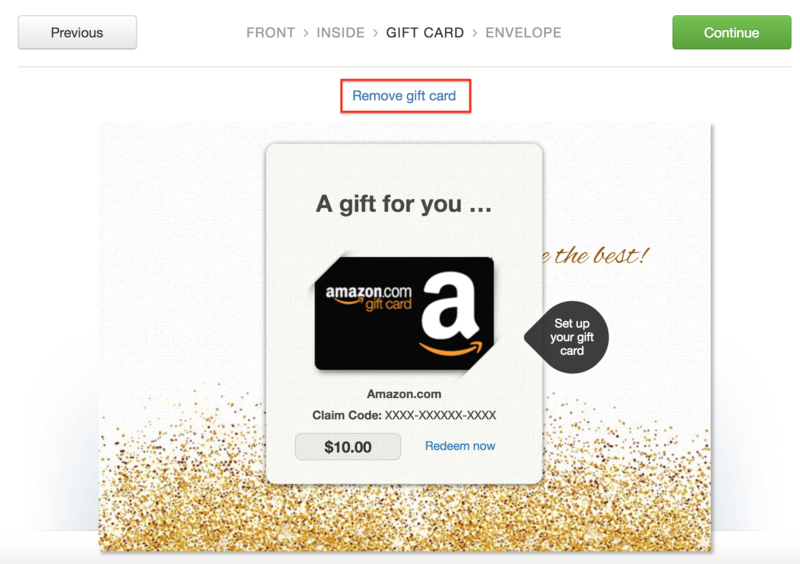 To remove a Gift Card, click the Remove gift card link above your card on the Gift Card screen.